What Happens When You Drink Celery Juice Before Bed? I have to admit that when I first heard of the celery juice craze, I was a bit underwhelmed. Celery — to me, at least — is something I think of as A) a standard vegetable thrown into soup bases, or B) the vegetable that acts as the vehicle for other, more delicious things (namely peanut butter and ranch dip). So even though I was seeing celery juice everywhere from my Instagram to my favorite health show, I was pretty skeptical that this plain old vegetable could do anything big for my health. If you are not already familiar, celery juice has become pretty popular in the wellness world in the past year. Some people say that it has helped them achieve higher energy levels, while others share that it has helped heal UTIs and serves as a great after-sports drink. But with little scientific research to back up the benefits of drinking celery juice, some doctors are just not buying into it. "Celery itself is a decent source of B-vitamins, vitamin C, and fiber," said Dr. Neal Malik, RDN, PH, MPH, and chair of the Department of Nutrition and Basic Sciences at Bastyr University in San Diego. "Some studies have found that it contains some antimicrobial properties, as well," Malik explained. "This may be where some of these 'too good to be true' health claims, such as its ability to 'clean the blood,' may have stemmed, pun intended, from." Curious to see what effect celery juice would have on me, I decided that I would drink a glass each evening before bed. For one week, I bought celery stalks from the grocery store and juiced them myself — this Black & Decker Fruit and Vegetable Juice Extractor ($39) is one of my low-cost favorites. I have to admit, I saw some results I wasn't expecting. I noticed that after drinking celery juice, I slept longer, deeper, and more sound. Usually one to toss and turn or wake up at the slightest noise, I was instead sleeping right through the night. I do have to note that I had some ridiculous dreams, which I can't exactly connect to the influx of celery juice: one was that my boyfriend painted our apartment neon green and converted it into a yoga studio while I was out — talk about strange! Unfortunately, according to Dr. Malik, it looks like there is no connection between the celery juice and deep sleep and my experience may just be coincidental. I have to admit that I was pretty worried about drinking so much celery juice before bed because, to sodium-sensitive me, at least, it tasted super salty . . . like borderline uncomfortably salty. I was prepared to wake up two hours into the night parched and desperate for a glass of water. However, after the initial shock of drinking a cup of salty green juice, I felt hydrated and alert, similar to how I feel after drinking electrolyte water. Could this be from the celery juice? "Yes, absolutely," Dr. Malik said. "When we examine its composition, we find celery is composed of 95 percent water. By blending or juicing celery, much of that water is released. As a result, celery juice may help rehydrate the body." Bloating and I have a very frustrating ongoing relationship. When I eat healthy, I bloat. When I don't eat the healthiest, I still bloat. Very little works to help bring my bloating down to a minimum, which is why I was surprised that when I woke up after my first night of drinking celery juice, my bloating had dissipated. This surprised me, in part, because, full disclosure, I randomly decided to eat a pizza hot pocket before bed and was fearing the worst. But this bloatless wake-up call may not have to do entirely with the celery juice itself. 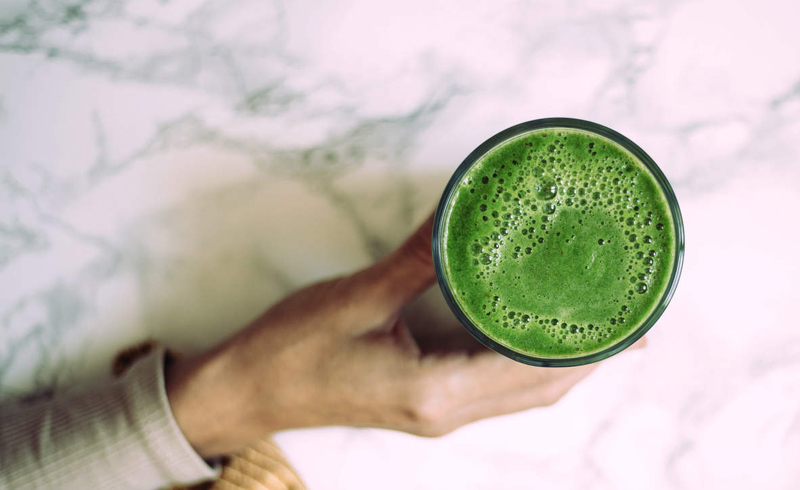 "Based on the data I have seen, there doesn't appear to be a connection between celery juice and a reduction in bloating symptoms," Dr. Malik said. "However, I would suspect that the celery juice is preventing dehydration, and staying adequately hydrated may help reduce bloating." So now the question remains — will I stick with my nightly celery juice ritual? The answer is probably no. To be honest, not only am I not a huge fan of its salty taste, but I'd rather not put all of my health and wellness hopes into a few ounces of daily green juice. Dr. Malik put it best: "The bottom line is that while celery in itself is a nutritious food and should be included as part of a balanced diet, consuming it in isolation or as a juice will likely not serve as a cure-all." Well said! 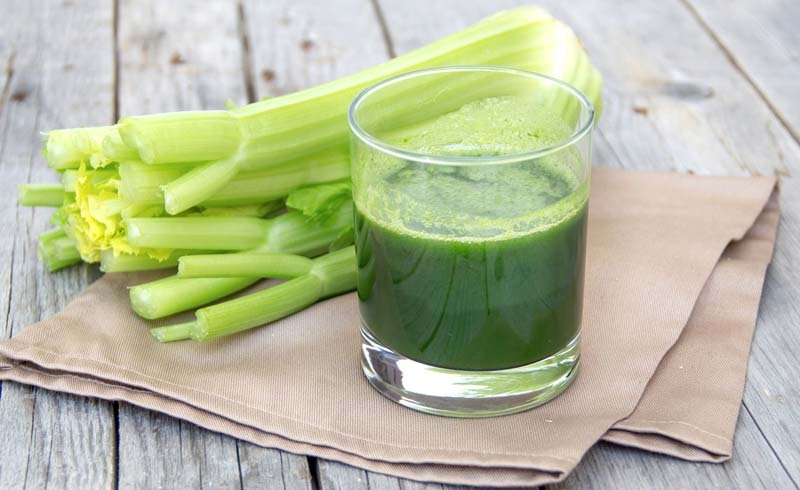 U.S. Daily News: What Happens When You Drink Celery Juice Before Bed?